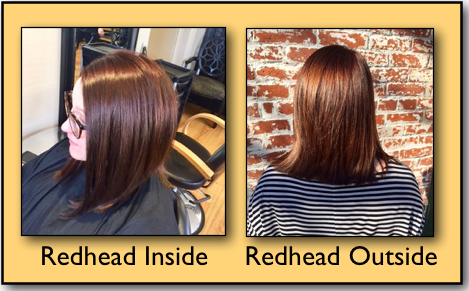 Have you ever had a client tell you that her haircolor looks very different at home (usually in her bathroom) then it does in the salon? Well, in today’s haircolor lesson I want to talk about the importance of lighting in the salon. Especially in the consultation area, which is probably in your chair. For haircolor purposes, the consultation area should be very well lit. Lighting in this area is very important. I suggest a mixture of lighting effects. That is, if possible, try to have equal amounts of incandescent, fluorescent and natural lighting coming in from the windows or skylight. If you have all of one-type of lighting in the salon, your client’s haircolor can look very different in her home or in different lighting situations such as her office, restaurants etc. For example, if all of the lighting is fluorescent (which is blue), blonde hair can look green. (Blonde hair is yellow and blue lighting can create a green cast on the hair). 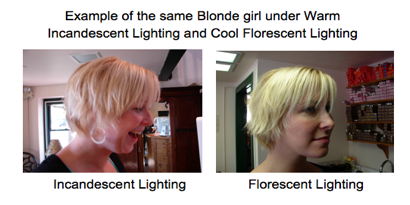 So, a lot of blondes will look green under purely fluorescent lighting. Fluorescent lighting can also make a redhead look brown, because of the cool nature of this type of lighting. It will bring out the cool colors in the hair (ash) and suppress the warm colors in the hair (golden and red). Also, incandescent lighting is very warm. This can make a blonde look brassy or reddish. Since there is no perfect lighting, I suggest a mixture of all three (incandescent, fluorescent and natural). I find that with a blend of all three types of lighting, you get much more realistic looking haircolor. 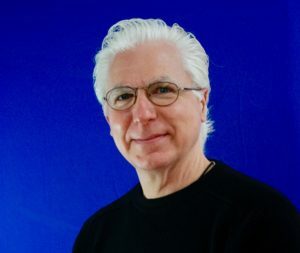 Therefore, the client is less likely to call you on the phone after she gets home to tell you that in her bathroom, her haircolor doesn’t look anything like it did in the salon. In our salon, we use fluorescent lighting as general ambient lighting, and we have an incandescent halogen spotlight over each chair. We are also fortunate enough to have plenty of large windows with an abundance of natural indirect light streaming through most of the day. I hope this gives you food for thought! 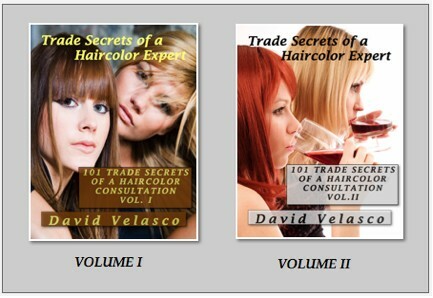 "7 Steps to Haircolor Mastery"
Over 128 Pages of Pure Haircolor Education!